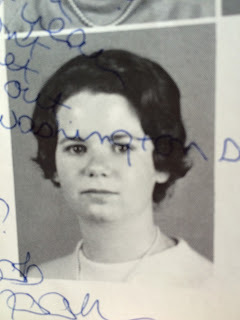 If you would like to include a message to the other members of the class of 1966, please email Steve or Susan Ward at sward12@swbell.net, and we will add it to this page. I just cleaned out my "in" basket and found this note reminding me of our 50th reunion. Since I am probably the only person with a kid still in high school I have to admit that I will probably be attending a baseball travel team play off game that weekend. Hopefully Max will make it to the MLB and then we can meet in St. Louis. I will be sure to let you all know. Here's to you all and do have a wonderful 50th reunion. Please give my love to all and I am sorry to miss this event. 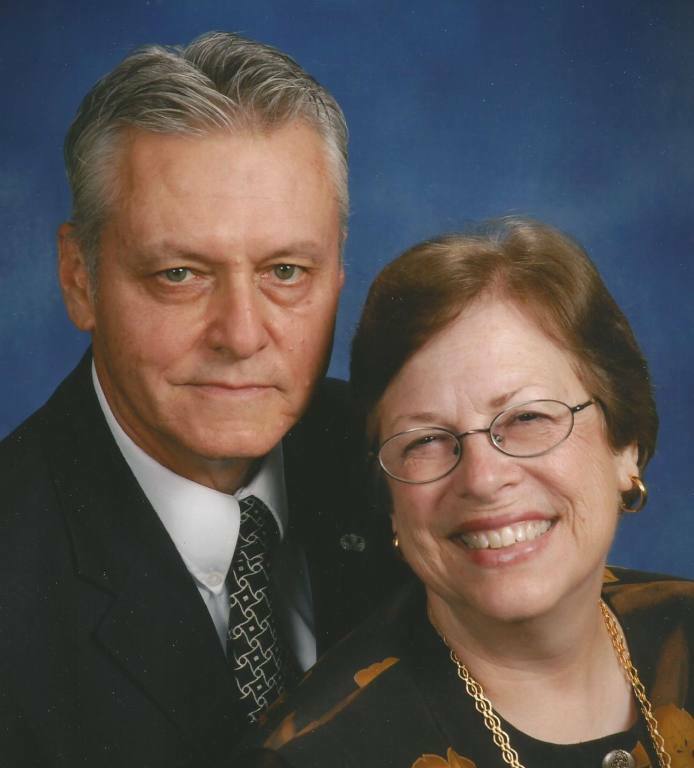 Bill and Rosemary (Perryman) DeArmond will celebrate their 50th Wedding Anniversary on December 27th, 2016. Both are 1966 graduates of Webster High School. We were married shortly after Christmas when Bill was home on leave having just graduated from Army paratroop school in Fort Benning, Georgia. Bill’s first assignment was to the 101st Airborne Division, Fort Campbell, Kentucky while Rosemary stayed in St. Louis to work at Brown Shoe Company in Clayton. After only seven months with the 101st Bill received orders for Vietnam as a replacement troop for the 173rd Airborne Bridge; report date 23 September 1967. 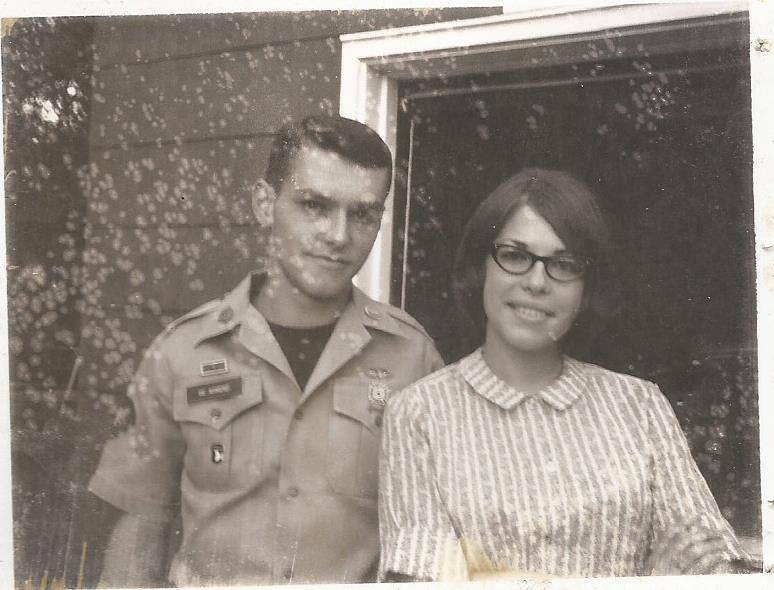 The photograph of Bill and Rosemary was taken about September 20th,1967 the day Bill left for Vietnam. The photograph of Rosemary is one that I carried with me to Vietnam. The last photograph is a more recent church picture of us taken in 2014. Speaking for myself I was just a kid when we got married, and had no idea how lucky I was to have Rosemary. 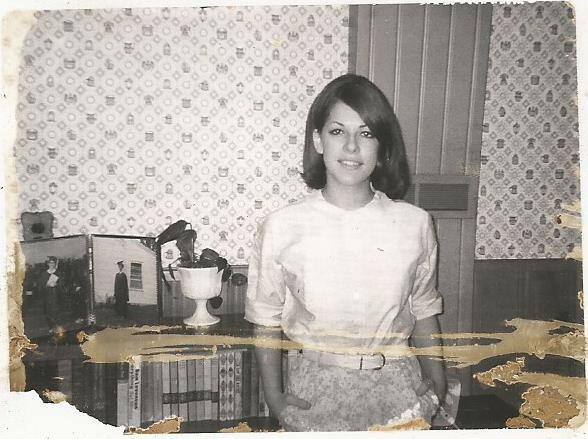 But when I got home from Vietnam in September 1968 I looked far more soberly at everything, and with Rosemary’s help. . . I attended college, and became a teacher; first in Webster, and then in Rockwood. Rosemary worked as a police dispatcher, and later became a court clerk in Ballwin. We raised two wonderful sons, and they have given us six grandsons, and one granddaughter. We are both retired, and live in West St. Louis county. 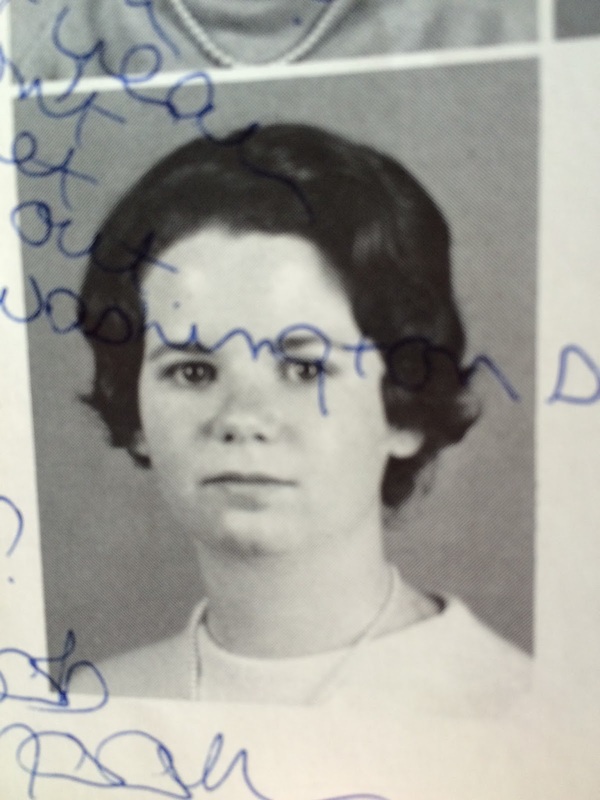 Am wondering how many other pair of 1966 WGHS alumni are husband and wife? If you're heading for San Francisco, check out my book "100 Things to Do in San Francisco Before You Die." Wrote it with another professional journalist who also lives here and we cover some 230 attractions, including top "must-see" spots and neighborhood treasures as well. Read about it on amazon.com or on Facebook at https://www.facebook.com/100thingsSF/ thanks! Not sure if I was considered a geek, nerd or dork or all three. But, I had three good friends who were on the debate team (Steve Swigert, Eric Birenbaum and Rick Cornish, '65) who used me as a mental punching bag. In the 70's I actually had a small photography studio in Old Webster where I experimented with Rembrandt lighting techniques on Jeff Buchman's musicians and drew cartoons and house portraits for the Webster Times. I've nearly mastered the art of being a poor, starving artist by teaming up with my wife Nancy who graduated with honors from the Wash U. Art and Photography programs. We definitely went rural. Best Wishes to anyone who might possibly remember me. Gary grew up just around the corner, and down one block from where I lived in Rock Hill. He transferred in from Vianney around the time we started our sophomore year so that would be the Fall of 1963. Gary made friends easily in the neighborhood as he was a nice fun loving guy with a great sense of humor. 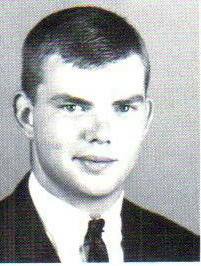 He and I were friends all through high school, and he was one of the last people “on the block” I spoke with before leaving for the service on June 10th, 1966. We didn’t stay in touch, and I didn’t even know he had gone from the Marine reserves on to active duty until I learned of his death in May of 1967. My C.O. at Fort Campbell gave me a leave to come home, and Phil Wedel and I attended the funeral. Tom Fischer told me a few years ago that Gary’s mother came to a reunion 15 or 20 years ago. She told Tom that Gary had been adopted. Gary never told me that so I suspect that he may not have even known. . . Gary Smith was a good friend who I think of often. He and many others left this world far too soon. My mother put the two newspaper articles and funeral card in a scrap book that I found after she passed away. Woke up at 4 a.m. yesterday thinking about the reunion and realized I wasn't thinking; I was writing! I skipped the 20th reunion, which was held at a country club – not my natural habitat. The 30th was a blast. I remember dancing the night away in a big group that included Ronnie. He’s gone now. The 40threunion was the best yet, held on the top floor of a popular brew pub. I remember laughing a lot. Our 50th high school reunion is coming up next weekend. I won’t be there. Not because I don’t want to see old friends -- I do! -- but I plan to enjoy the experience vicariously through their eyes as I chillax in my Michigan hideaway. Still, the anticipation builds. 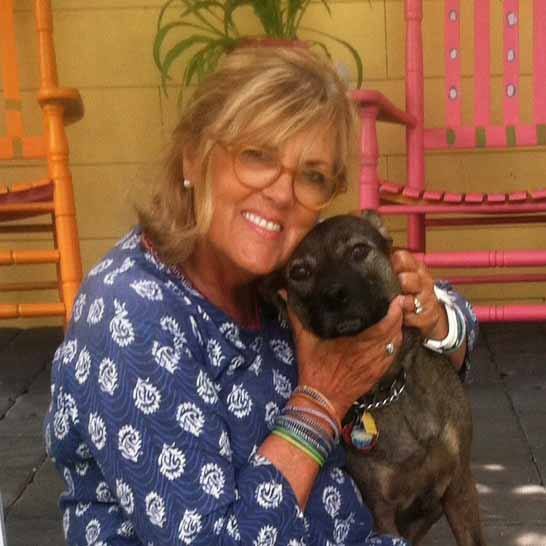 Already some of us have blogged about the reunion, great posts by Patricia and Ann. Their excitement is off the charts and it’s catching. In French, the word souvenir means to remember. One of my best memories, or souvenirs, of WGHS is the time I spent in a cappella choir. Because who could forget Miss Rep -- that legendary combination of cheerleader, tyrant and musical perfectionist. Remember how she’d beam when we got it right? And how she’d holler “LOUSY!” when we got it wrong? Remember making those beautiful harmonies, the sense of tradition/legacy, the drilling on stage presence and the intense bonding we felt, not only with our fellow singers there on the risers, but also with those from Esther Replogle’s 30-odd preceding classes of choirs? Here is one particular memory of mine. Occasionally, in rotation with Alan and Suzanne, I served as choir accompanist. * Once I conquered my initial terror, this became a quite enjoyable experience, in part because it gave me the best seat in the house. I can see it all now: there in the choir room, the studio piano sits behind Miss Rep. When I take my place at the bench, both of us are facing the choir. Even our room is special, with tiered seating whose uppermost row tucks into a wide, south-facing bay window that floods the room with light. I see you, fellow singers -- sopranos and basses to my left, altos and tenors to my right. Okay, here we go: “This is a Great Country.” Ooom-pa, ooom-pa, ooom-pa...so far so good. Whoops--something in that passage is amiss. Miss Rep signals me to stop playing and just give opening pitches, so she can listen for the error. She starts you up again, this time sans piano. Then comes my lucky moment, my souvenir. Briefly idle, I look out at all your faces -- engaged, shining, even -- and I realize that I am seeing our best, a mosaic of youth, joy, energy, eagerness to take on the world. Even at the callow age of 17, ignorant of all that is to come, I know I’m witnessing something very special that will follow me through the decades. One of those things to come, of course, is the explosion of technology, which among other phenomena allows anyone to shoot an instantaneous video of a high school choir, press a button, and bingo! Everybody can see what the choir looks like when singing. A commonplace occurrence. But back then we couldn’t do that. We knew how it felt to sit in that room and unite through music, but only Miss Rep and a few others in rehearsal knew the marvel of our faces when we sang. I believe the sight drove her forward. I know it did that for me. I have always been grateful that I had the the good fortune of watching you, my friends, my singers-in-arms. Thank you for the perfect souvenir. All these years I’ve been able to re-une with you just by calling up that memory. My sincerest best wishes to everyone in the class of ‘66. * I’ve written about a cappella choir before, in my blog titled Mooring Fever (see “Don’t Shoot the Piano Player,” October 9, 2015). Also about the filming of “Sixteen in Webster Groves.” (“16 Behind the Scene: How a Community Was Leveled in Sixty Minutes,” February 19, 2016). Honestly, only old people and blue haired ladies have 50th reunions and worse yet wedding anniversaries of 46 years! I suppose on some level we qualify, but not ready for sunset years just yet...too many sunrises in the future! Every time one of the emails popped regarding this reunion, my mind wandered to the amazing, carefree times we had. So many moments of undiluted joy and silliness as we struggled to reach those "grown-up" years. Now with a lifetime behind, we are enjoying the lifetime yet ahead. But before I meander down that path too far, we will be in Pittsburgh over Labor Day weekend so regretfully, the reunion weekend won't work for the Kane's. Our oldest daughter's home, with husband and 4 kids has been our traditional landing point for Labor Day, and this year is no different with a football game, soccer, gymnastics and tai kwon do for the grandparents to watch and proudly be amazed at the talent and gifts we seem to have produced. We have 3 other little people as well. Our son In Chicago has 2 boys and our daughter in Milwaukee has 5 year old Luke, youngest of our crew. We spend a lot of time between cities to be a part of their lives and feel lucky to do so. Everyone was home in July so the house was full to the brim finding beds for all 15 of us. We keep talking about downsizing, but for now we 're here as we moved my now 89 year old mom to be closer to us 3 years ago. She's living in an independent community but still relies on us for some help. She's adjusted and would hate to ask her to move again, so here we stay. We left our full time work 2 years ago and have reveled in being, well, just being. I am a born morning slug and not rising at 5:30 is heaven. We've traveled beyond the 3 cities of grandchildren, kept busy with multiple hobbies, projects and things we've always wanted to do but never found the time for before. Health remains good and the gym beckons no matter how hard I try not to hear its call. All in all, it's been an incredibly blessed life for Susan Walker. Our children and their spouses bring us untold joys as we watch with great mirth and satisfaction as they work to raise little people into productive, caring, compassionate human beings. It's hard to ask for more. Walker....as there were so many Susans! !